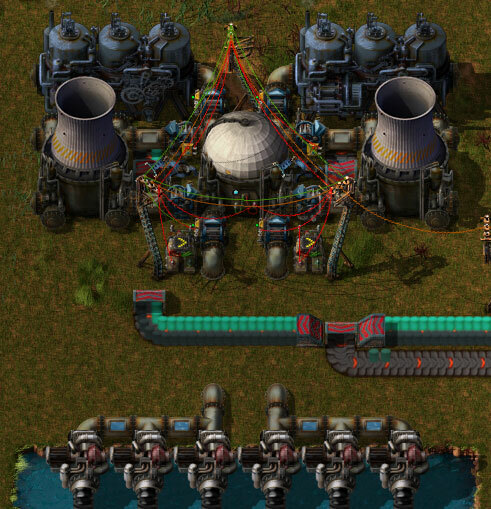 Adds nuclear reactors that work like big boilers, as well as uranium processing recipes and "turbine" engines for more compact power generation. 1.6.0 - 2016/12/30 - Added low-priority "peak load" turbine, changed display name of existing turbine to "Base load steam turbine"
1.1.0 - 2016/09/26 - Reactor and cooling tower subcomponent entities are now indestructible (but will still be removed if the reactor/tower is destroyed). Fuel processing and consumption speed adjusted. 1.0.0 - 2016/09/25 - Initial release.